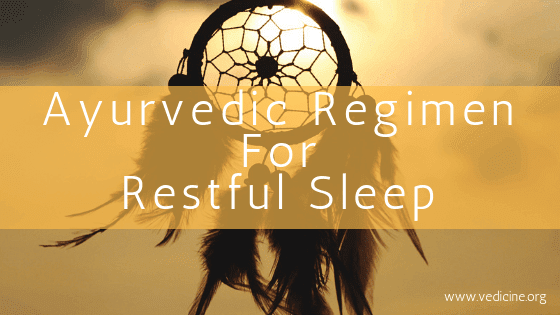 Ratricharya or Ayurvedic night regimen is important to maintain a good health. Ratri means night and charya means routine or regimen. Just like the day schedule, it is essential that you follow a course after you return from work. Relaxation: In the evening at home, first try to relax and unwind for five minutes. Shower: If tired, you may take a shower first. A gentle head massage with or without oil is also very beneficial. After the shower, wear comfortable night clothes. Dinner: Eat your dinner at least two hours before going to bed. This helps the food to digest easily and induces good sleep. Dinner should be light and easy to digest. Do not eat deep fried or cold food, sweets or milk products but try and eat some vegetables, soup, bean sprouts and yeast free bread. Rice and yogurt should not be taken in dinner. Sleep: Make sure you avoid going to sleep immediately after dinner. You may like to read or write or surf the net but ensure that there is proper light and comfortable chair. Do not watch television for too long. Go to bed early but in case of some important work, make sure you sleep latest by 11 pm. Human beings spend almost a third of their lives sleeping. Sleep is the natural method to restore lost vitality and is considered "the diet of the mind". Sleep occurs when Kapha dosha blocks the srotas (body channels), causing the body to become tired. The senses are unable to connect effectively with their objects. This is most noticeable with the eyes losing their ability to focus and the eyelids becoming heavy. The mind disconnects from the physical realm and the sleeping state commences. If the mind is still active during the sleeping state, vivid dreams are experienced. During sleep, the body is rejuvenated and strength restored. 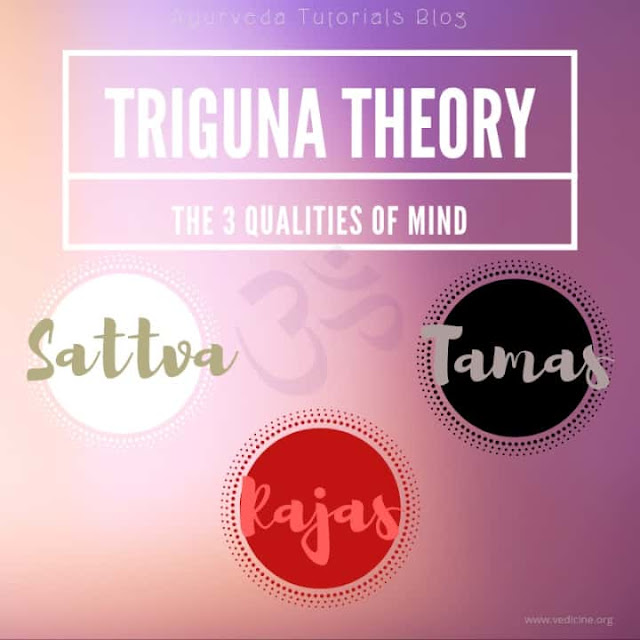 The srotas, dhatus (7 tissues) and ojas (quantifiable liquid in the body, responsible for overall health, energy and liveliness) are actively being rebuilt and repaired. For a healthy mind and energetic body it is necessary to have regulated and sound sleeping habits. Staying up late aggravates Vata dosha and causes many Vata related disorders. Without sufficient sleep, the senses are not rested and their functions become impaired. The mind is also not given the opportunity to relax and regain energy. Concentration may be poor, and lethargy or confusion may be experienced. Ayurveda advises you to go to bed early, around 11 pm at the latest, and to rise early or before sunrise. This is usually around 6 am depending on season. This helps to maintain the balance of doshas in the body. Our internal body clock known as the circadian rhythm, operates most effectively when harmonized with the external environment. For example, rising in the early morning and sleeping at least six hours at night is healthy. When our internal rhythm is disturbed and in conflict with the environment, which can occur when we change time zones, travel long distances, work night shifts or have insomnia, it can have physical impacts. These include constipation, headaches, appetite problems, poor concentration, Vata aggravation and nervous system disorders. Six to eight hours of sleep is usually sufficient for healthy adult. Sick people, children, old people, laborers, those who have traveled extensively or those lacking physical strength can sleep for longer periods, depending upon their condition. This assist in stabilizing doshas and dhatus. Sleeping excessively can be detrimental to health as not sleeping enough. Sleeping during the daytime should be avoided as it aggravates Kapha dosha, unless you are in one of the categories mentioned above. Resting for half an hour after lunch is beneficial, as is resting in the afternoon during summer when the days are longer, hotter and drier. Sleeping or dozing in a sitting position (in an armchair) prevents aggravation of Kapha.